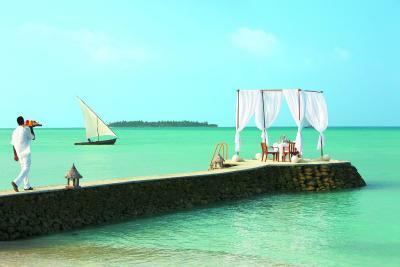 Lock in a great price for Taj Exotica Resort & Spa – rated 9.3 by recent guests! Not too far from Male. Great rooms and food. Very friendly staff. Beds were extremely comfortable. Beautiful clear water around the resort. Friendly staff. Variety of food selection. Close to airport. Privacy. Family friendly. The proximity to male airport is a huge plus. The staff is quite friendly. 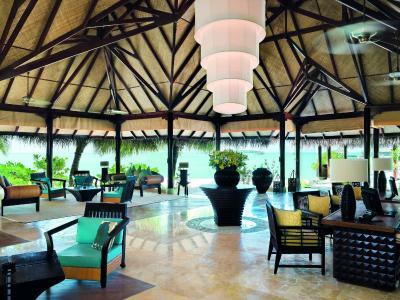 The food options are great and the rooms are very well appointed. 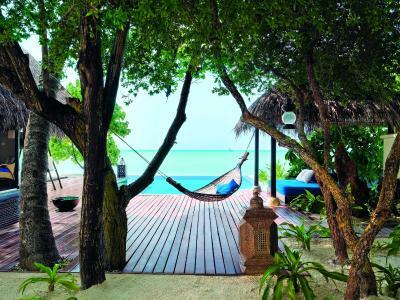 I like every things from A-Z, cleaning, fast servises, the island has a good facilities, helpfull I want also to thanks ( Rasha, Elite, Dombe,Anaz and all. For the restorant, it was very clean and tasty. I like the Spa serves, she was very helpfull to explan about the spa. They have very goog prepation for annversiry. And the last is about transportation, it was good, they was frindly and welcoming. 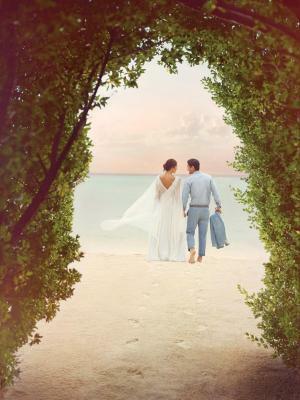 Service was outstanding Friendly staff, our butler (Simo) was very kind and helpful The room is so nice and clean Amazing beaches We will definitely come back! Everything Food, Location, Beach, Staff even the Paramedic who checked my wife before recommending medicine for her headache. I highly recommend it, from the moment we arrived the receptionist Safaa was very welcoming. I would also thank our butler Neval and our housekeeper Faroog they were really helpful. Also Jowana in the Equator cafe was really friendly. Overall I had an amazing time and really friendly staff. 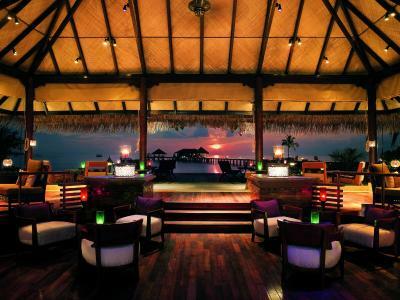 Its a very good resort with spectacular views and very friendly staff. 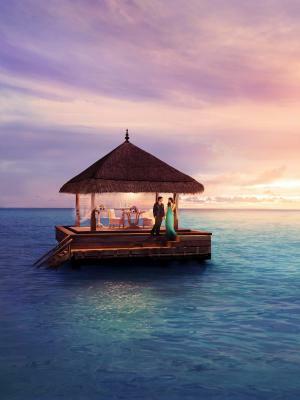 Taj Exotica Resort & Spa This rating is a reflection of how the property compares to the industry standard when it comes to price, facilities and services available. It's based on a self-evaluation by the property. Use this rating to help choose your stay! 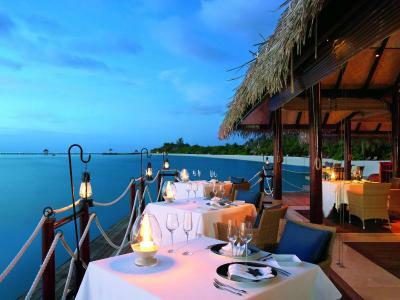 One of our best sellers in South Male Atoll! 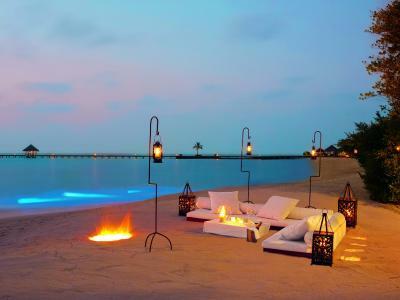 5-star exclusivity awaits at Taj Exotica Resort & Spa, with luxurious villas and a large infinity pool with clear lagoon views. It features 2 restaurants, a bar and a fitness center. Free WiFi access is available in all rooms. Staff are able to converse in Chinese. 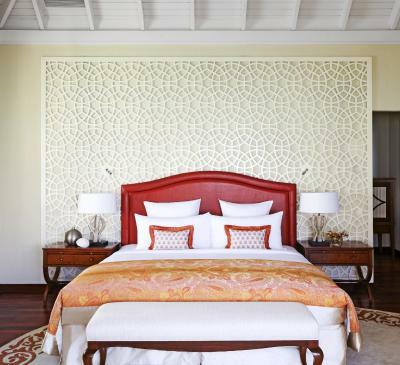 Featuring private sundecks and balconies, large villas are decorated with fine wood furnishings and warm colors. First-rate amenities include a Nespresso coffee machine and iPod dock. Premium toiletries and rain showers are provided. Extras in the room include a dental kit and slippers. Rooms offer Chinese cable channels and an electric kettle. 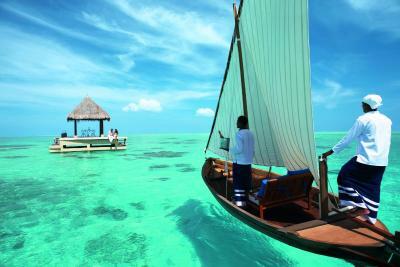 A wide range of water sports including diving, fishing and windsurfing are available at Taj Exotica Resort & Spa. Alternatively, relax with soothing spa treatments at Jiva Grande Spa. 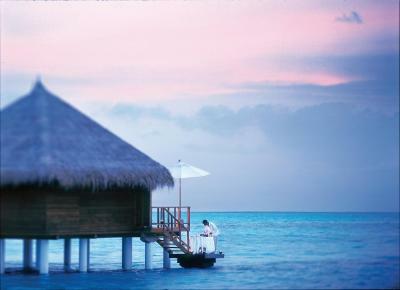 Taj Exotica Resort & Spa is 5 mi from Malé International Airport, which takes 15 minutes by a private speedboat available 24 hours a day. 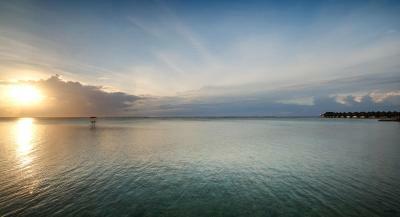 This property also has one of the top-rated locations in South Male Atoll! Guests are happier about it compared to other properties in the area. 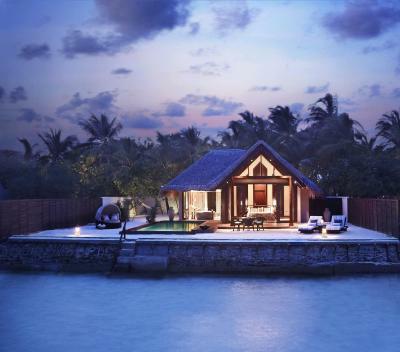 This property is also rated for the best value in South Male Atoll! Guests are getting more for their money when compared to other properties in this city. 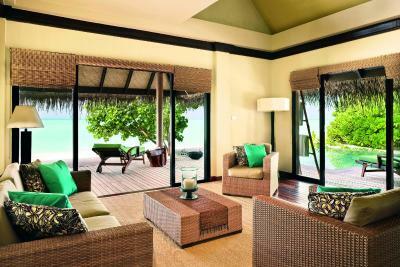 When would you like to stay at Taj Exotica Resort & Spa? 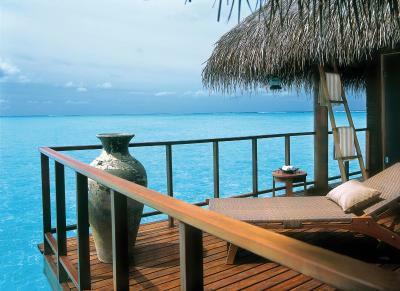 Located over the lagoon, these villas have a private deck with lounge chairs and easy chairs. A ladder offers direct access to the lagoon. 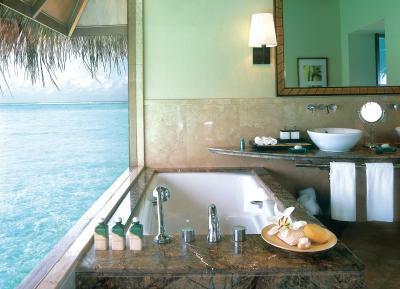 With panoramic views of the Indian Ocean, the bathroom comes equipped with double sinks, a rain shower and bathtub. 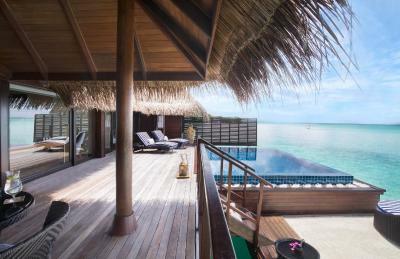 Located at the far end of the island, these stand-alone villas feature a private deck with lounge chairs, seating and a ladder leading into the lagoon. 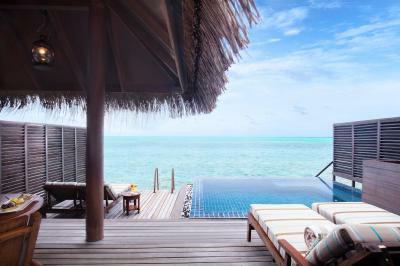 It also comes equipped with a freshwater plunge pool and day bed. 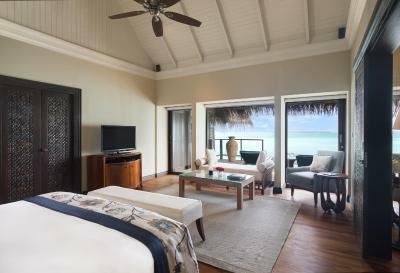 The private bathroom comes furnished with double sinks, a rain shower and bathtub with panoramic views of the Indian Ocean. 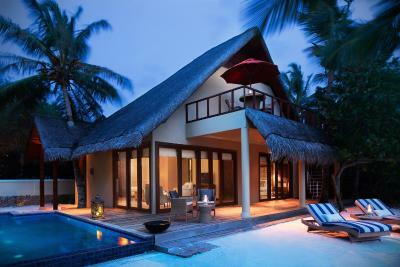 Located 16 ft from the lagoon, this beach villa features a private pool, deck with lounge chairs and a tropical outdoor shower in a private walled garden. 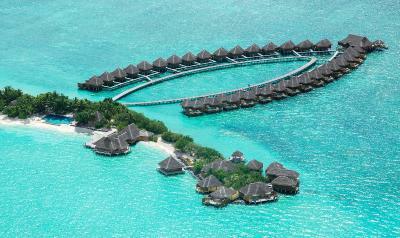 It has direct access to the lagoon. 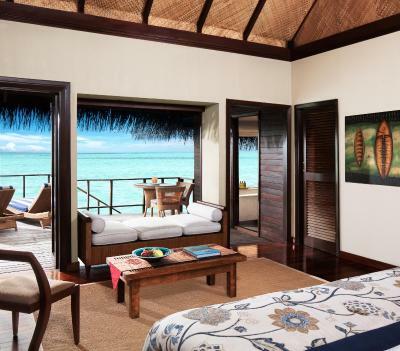 Situated right on the beach with direct access to the lagoon, these luxurious villas has a plunge pool, a private porch with lounge chairs and a tropical outdoor shower in a private walled garden. 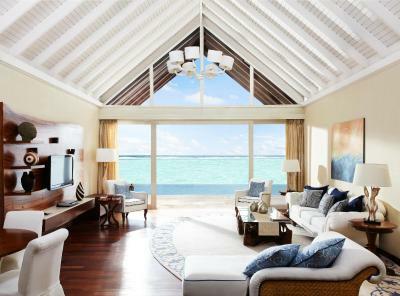 Built over the lagoon, this luxurious suite has a living room and a bedroom with attached bathroom. 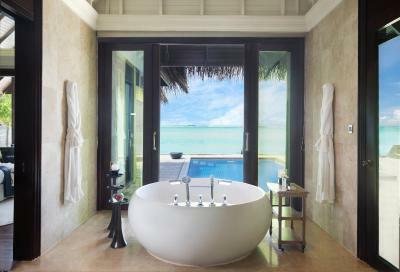 The glass-paneled bathroom has sweeping views of the Indian Ocean. The suite also comes equipped with a large freshwater pool with a private deck and an outdoor dining area. 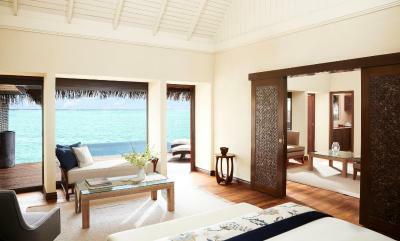 On the beach just 16 ft from the lagoon, this suite has a spacious living room, a private courtyard and a plunge pool. The porch has lounge chairs and a tropical outdoor shower in a walled garden. 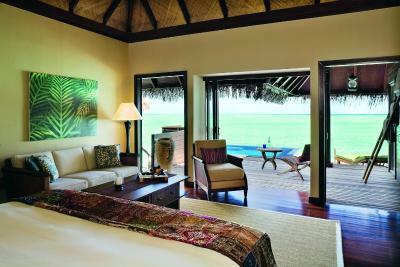 The mezzanine bedroom has picturesque lagoon views. 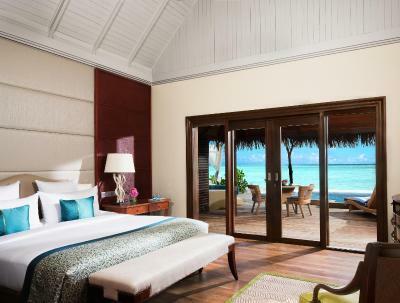 On the beach just 16 ft from the lagoon, this suite features a spacious living room, a private courtyard and a plunge pool. 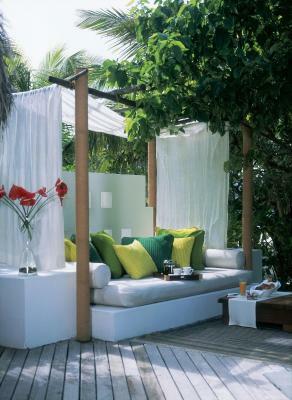 The porch has lounge chairs and a tropical outdoor shower in a walled garden. 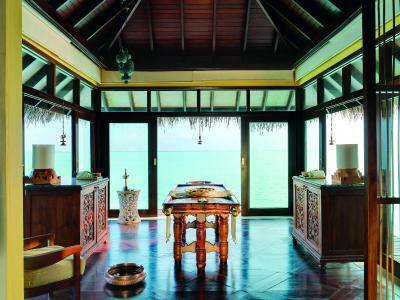 Guests can enjoy Jiva Grande Spa treatments in private at the spa treatment room attached to the villa. 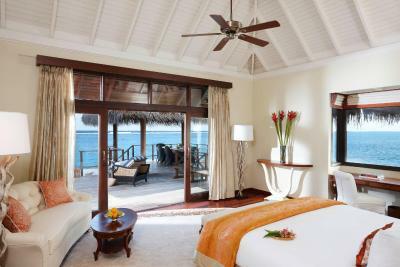 The mezzanine bedroom has picturesque lagoon views, while the first floor master bedroom has a large private bathroom and a private balcony with beautiful views of the sunset. 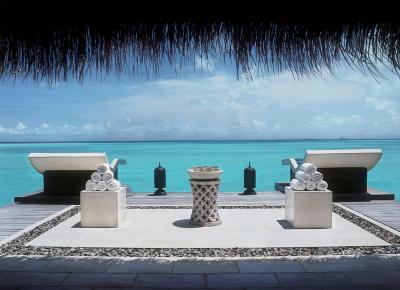 The Taj Exotica Resort & Spa Team Looks forward to welcoming you to our little slice of Paradise! 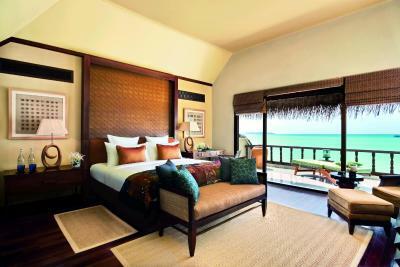 House Rules Taj Exotica Resort & Spa takes special requests – add in the next step! Taj Exotica Resort &amp; Spa accepts these cards and reserves the right to temporarily hold an amount prior to arrival. 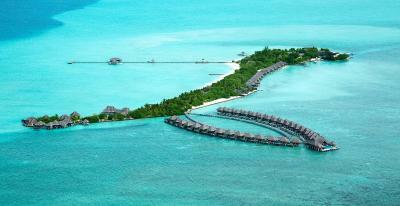 Taj Exotica Resort & Spa accepts these cards and reserves the right to temporarily hold an amount prior to arrival. 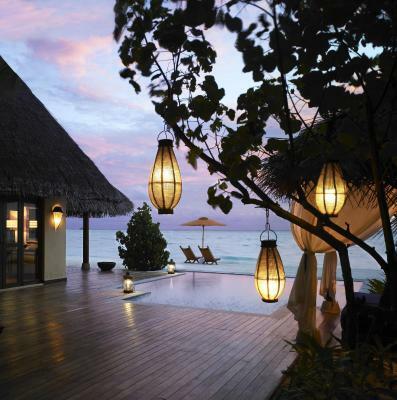 Guests must send arrival and departure flight details directly to the property at least 24 hours prior to arrival. Children under 3 years will eat for free based on the rules and meal-plan accompanied by an adult, excluding alcoholic beverages. Children above 3 years to 12 years old = chargeable at USD 100 plus taxes and Green tax. Transfer chargeable at USD 80 plus taxes for 3 years old and above. Amazing accomodation, food, view and very nice staff. They are there for you whenever you need and whatever you want. Really helpful. Highly recommend this place! Nice and private. 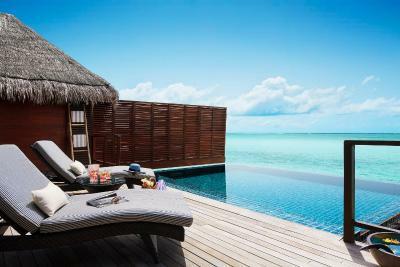 In terms of the location of the resort, there are couple of constructions going on both sides of the resort, which diminishes the uninterrupted view of the sea. 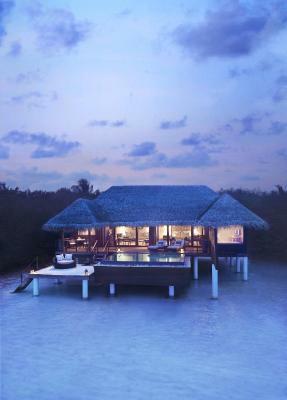 This is visible from the beach as well as some deluxe pool villa. Luckily we did not have one of those villas. Occassional sounds of dredging from those sites are also bothering (especially while having dinner). Male city lights can be viewed in the distance which I did not appreciate, however was not a big issue for us. 1. Hospitality - was impeccable. The staff would go extra mile to make your stay memorable. Special mentions for Billal( from pool bar), Adi ( general hospitality), Hamid(lifeguard), Hussain, Hamid and others (24Degree) Subhendhu (villa services). 2. Food - was lip smacking. We did not try much other than indian as we both love indian and one would believe Taj's chefs are specialists in that area. And we cant praise more of the food that these guys serve. We did a seafood berbecue on one of the nights 3. 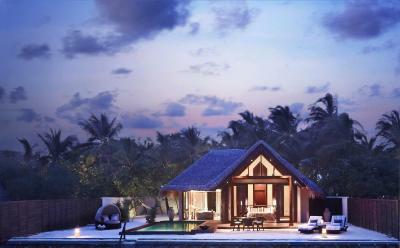 The resort and its facilities - This is a Taj property. And they have lived up to their reputations. So full marks on facilities. 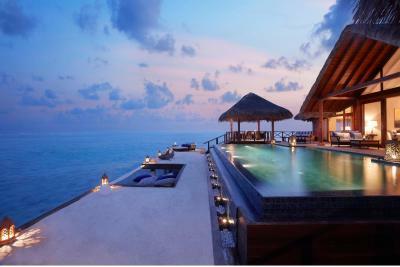 We stayed in a deluxe pool villa which was great. The white sandy beach and the crystal clear water of lagoon plus the reef on which the resort is which attracts lots of fishes and other marine species is a visual treat. The only free yoga class was at 8.30am - an odd time as you couldn’t have breakfast before or properly after. Should be earlier. The pool temperature was too warm. High price for activities. Maybe more Arabic TV channels. Pre arrival customer service needs improvement. Shamiz is the most amazing butler that ever existed! The staff missed on attention to detail. Our breakfast took so long to come and the coffee literally never came, pizza was wrong. Milkshake was cold and had to be sent back. There is also construction going on in the lagoon around the property which isn’t a good sight. Everything is really expensive, no doubt the quality is superior but still the price is on the steeper side. 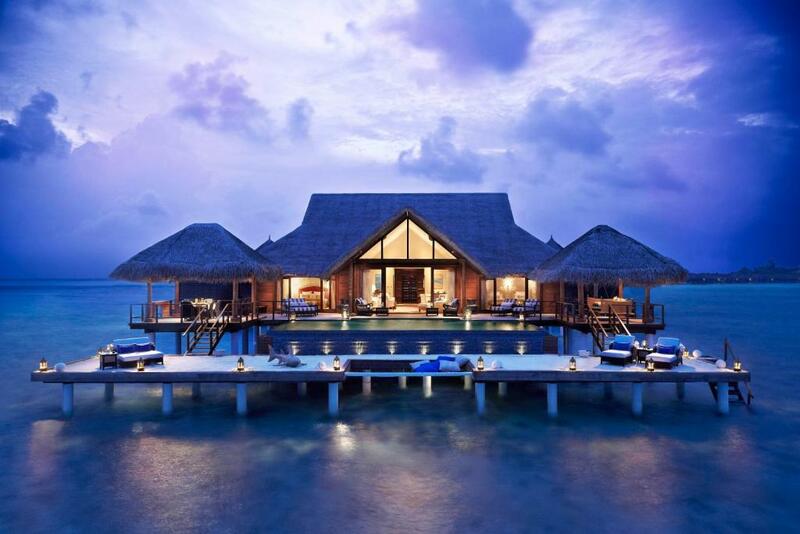 Fabulous property and beautiful beautiful beaches and crystal blue waters. We had half board package and we enjoyed the dinners to the fullest . The chef is amazing and variety of food is spectacular. 2nd time here and it did not disappoint. Service is immaculate with everyone very friendly indeed. Food is too nice!! Prices in restaurant and bars are too high and really absurd. Especially some salads and apetizers have too high prices for size of meals. It's simply perfect. Beaches, sea, snorkelling all was perfect. 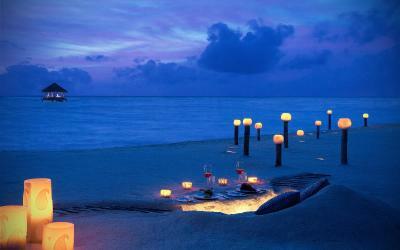 If you want to spend romantic vacation and get perfect place to relax than it would be Taj Exotica. We had guy named Elite to help us and he was really helpful and did all to make our vacation perfect like providing us a local fruits, aniversary suprise and rest.